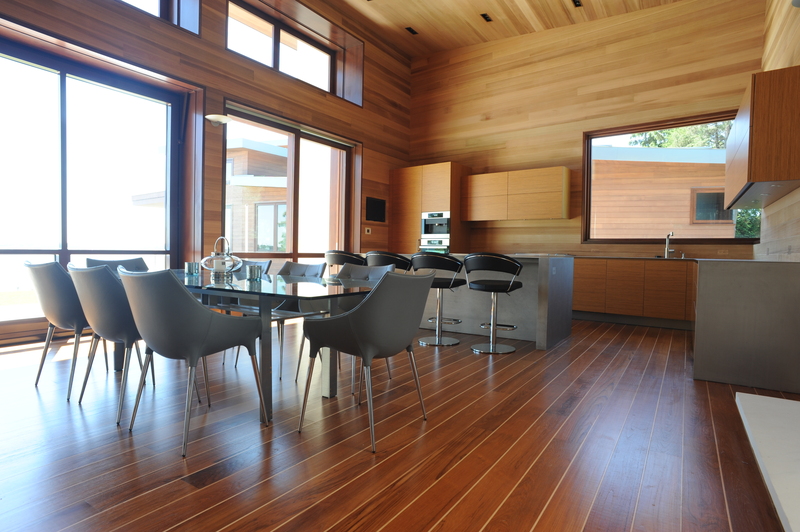 As a Luxury Wide Plank Flooring Manufacturer, we understand the importance of quality. The more effort our team puts in beforehand, the less effort you put in post investment. This may translate into spending more money upfront… ultimately saving you money over time. Below is a guide to what you should keep mind when looking to make smart investments. Being frugal doesn’t just mean saving money—it means spending your money wisely. Mostly because it’ll either fall apart or cost you more money to repair or replace. The bottom line is that you should buy based on how long you plan to live in a specific place, and how frequently you are going to use it. Flooring falls into this category. Acknowledging your lifestyle and purchasing accordingly will save you a ton of money in the long run. If you plan to have children or dogs, choose a finish that can easily be cleaned. If you live by the ocean, choose a material that won’t easily warp or weather. Buying a cheap couch is going to wind up making you miserable if you spend a few hours on it every night. Overall, it makes more sense to buy long-lasting, timeless pieces that are sturdy enough to move with you, opposed to re-buying every time you move (…or every time your desk falls apart). This can (and will!) save you money in the long run. You have to do a little math before deciding how much to spend. Factor in your budget & how long you plan to own the appliance, and then look at its cost of operation. If you plan to own the item long enough that buying a more expensive—but more energy efficient—model will save you money in the long run, it’s a sensible purchase. Even if you plan to sell the item, it still makes sense, since you’ll be able to get more of your money back. You should also factor in warranties and maintenance costs. If your appliance is covered for as long as you need to own it to make your investment back, you’re making the right choice. **Things like energy efficient light bulbs, rechargeable batteries, power strips, and other products are easier to consider—you’ll quickly make your money back on the energy savings you get from the devices connected to them, or in replacement costs. 4. Transportation –Buying cheap for the sake of saving money is always a bad idea. When you’re ready to buy a car, a bike, or invest in any other method of getting around, total cost of ownership—including maintenance, repairs, fuel, storage or parking, and other costs also play into your budget. Of course, high-end and luxury doesn’t always equal “better.” It doesn’t take much imagination to see buying a ‘cheaper’ vehicle will lead to constant repair costs which can quickly add up. Take time to consider additional costs and put your money to the features important to you (fuel economy for long-distance drivers, safety features, etc.) is important. Some product may be inexpensive now but will actually cost you more in the long run. For certain things, it makes sense to spend more upfront for a better, longer-lasting experience. The World's Finest Wide Plank Floors. Call 631-727-9691 or send us an email.